This project required the demolition of an existing, vacant building to make room for a new retail building. Mohagen Hansen provided architectural design services and the development of 3D graphics for the planning of this one-story, 12,200 sq. ft. retail building. The building was also designed to accommodate a future expansion. The exterior of the building is comprised of brick, glass, and acrylic stucco or fiber cement. The structural system used is a steel frame with steel stud perimeter wall framing. 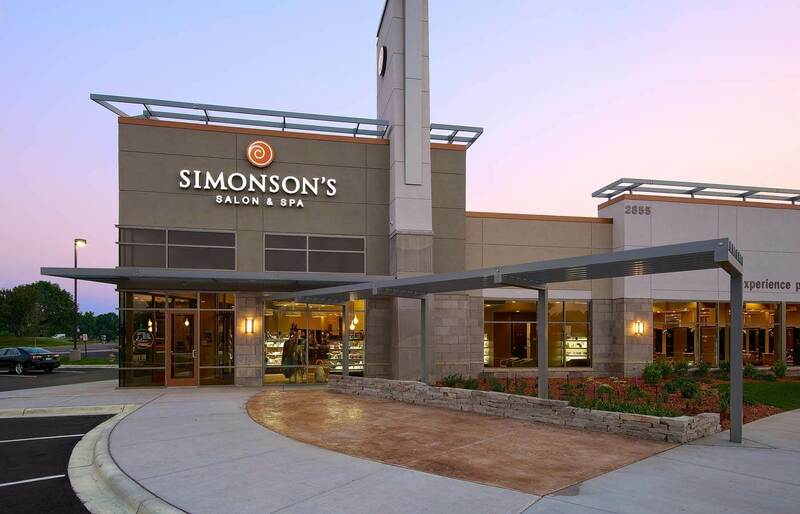 Mohagen Hansen provide architecture and interior design to build out the Simonson’s Salon and Spa through the implementation of their corporate prototype.